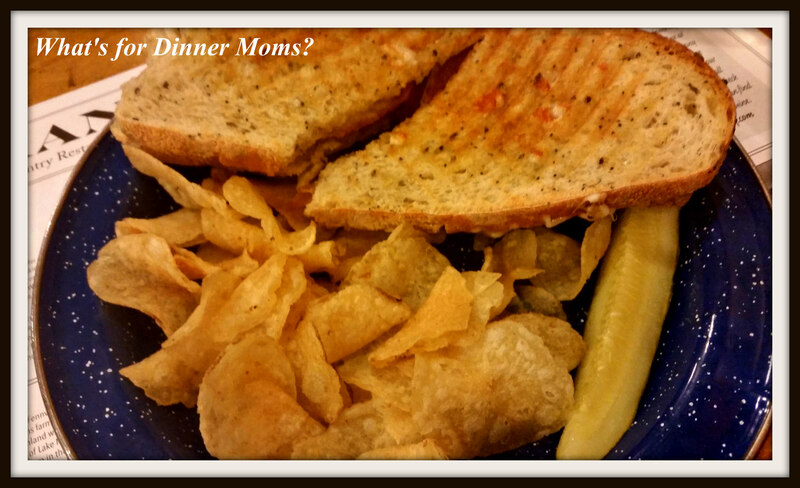 On Our Way to Grand Rapids, Michigan – What's for Dinner Moms? One of the things we do during the summer months is travel. Just about every weekend we are doing something. My son has asked that we try not to travel as much during the school year, when it is actually more convenient for us, because he hates missing school. Unfortunately, work gets in the way in August and September so we try to do as much traveling as we can in June and July. We were on our way to Grand Rapids, Michigan for the weekend. We had no real plans other than a bit of shopping and maybe a stop at the Downtown Market for seafood. We don’t get fresh seafood easily here so a trip to Fish Lads in Grand Rapids is always a treat. On our way to Grand Rapids we saw a billboard for Crane’s Pie Pantry & Winery. Pie and wine in one place? Count us in! We were hoping that because we were stopping at an off time, 2:00 pm on a Saturday, that we would be able to get a seat quickly. As we pulled in the parking lot we realized the error in our thinking. It looked crowded but when we asked at the check-in stand there was only a 5-10 minute wait. As we entered the restaurant you could quickly see that they tried to carry the historic charm of the old family orchard through their restaurant. The tables and chairs were all mismatched. The signs on the walls advertising ice cream sundaes for 5 cents and apple pie slices for 10 cents were culled from the area. We started with a glass of blueberry wine and water. The blueberry wine was smooth and tasted almost like juice. It went down quickly. Too, quickly. The menu is simple. Sandwiches, wraps, salads, soups and chili are the main components of the menu with a small breakfast menu available until noon. 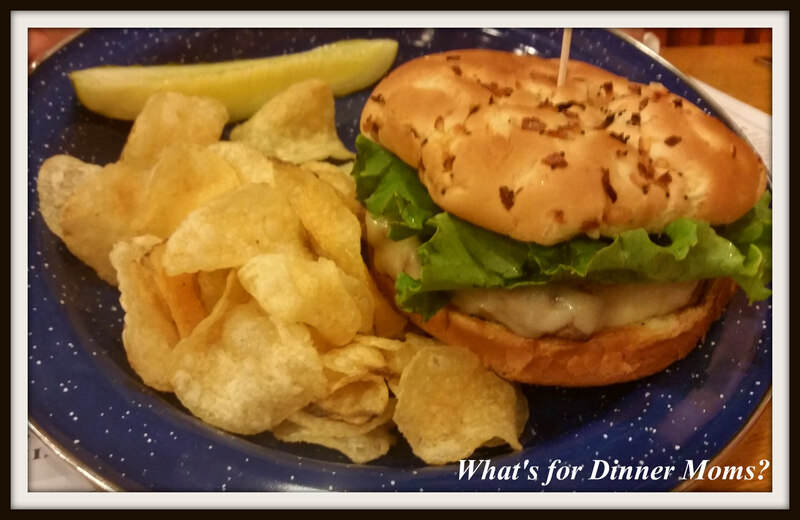 We chose the Cheeseburger and Crane’s Spicy Italian Panini to try. Now, the raspberry pepper jelly on the sandwich sounded “different” with the capicola, Genoa salami and pepper jack cheese but I thought I would try it. I did switch the pepper jack cheese to cheddar because I am not a fan of pepper jack cheese in sandwiches. When I tried the sandwich it was strangely really good. The sweetness of the jelly set off the spicy of the sandwich. The kettle chips on the side were plentiful. I would definitely order this sandwich again. The burger was thick and juicy. It was cooked medium as we asked. The chips were again plentiful and the food was good. 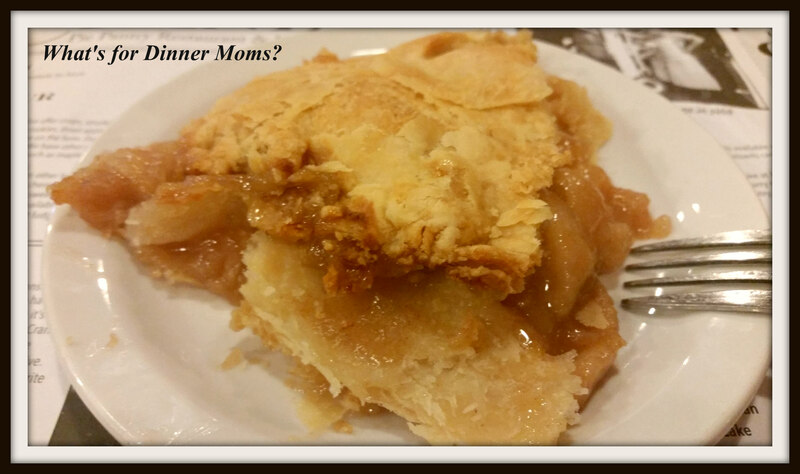 Of course you can’t go to a place that advertises itself as a pie pantry restaurant and not get pie! The pies are homemade and the serving of the pie shows that. It is not a perfectly cut portion. It is just like your mother or grandmother would serve you right from the kitchen. 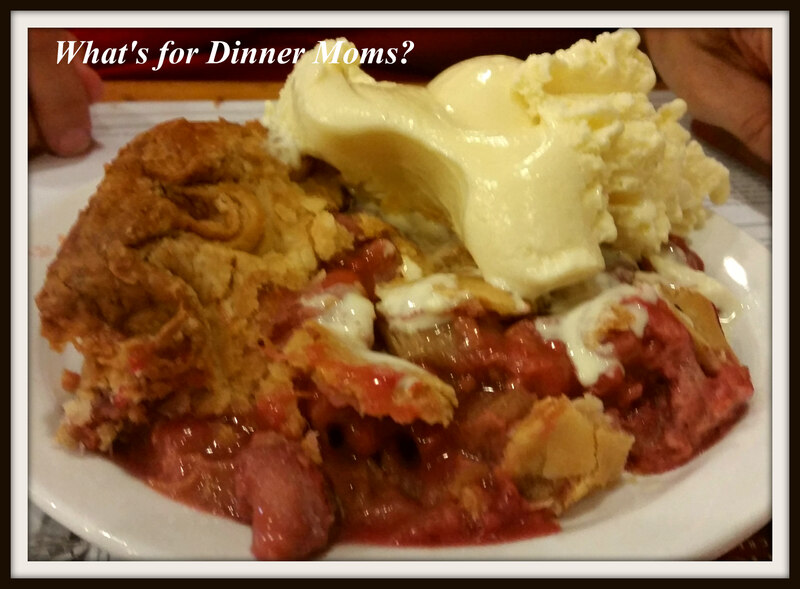 The above is the raspberry rhubarb pie with ice cream. The raspberries helped temper the tartness of the rhubarb. It was a delicious pie. When I asked the waitress for help deciding between two pies she didn’t hesitate in recommending the original apple pie which is what they are known for. The crust was perfectly flaky and the filling had a perfect sweet-tart taste. I swear my mother could have baked this pie. It was delicious. On our way out of the restaurant, through the gift shop, we bought two bottles of Crane’s blueberry wine. We are already making plans to stop in again on our next trip through the area. Since we travel quite often we generally pick one brand of hotel and try to book as many stays as we can through the one brand to get loyalty points. This room was only 20,000 points through Hilton. 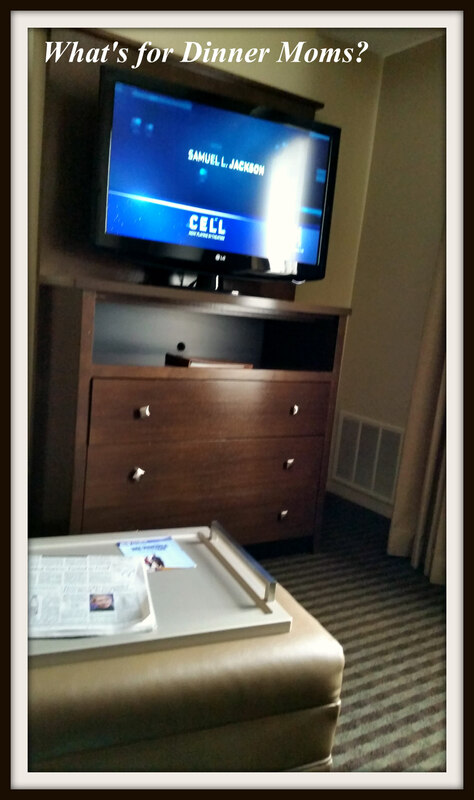 We had a nice one bedroom suite which was perfect for the two of us. Since we had a late lunch we ordered a salad and sandwiches to be delivered. It was perfect having the small kitchen to eat in and two televisions that we didn’t have to share. With the typical hotel breakfast the next morning of eggs, potatoes and sausages, waffles, juice, breads, coffees, rolls and fruit we felt the price of the room was great. 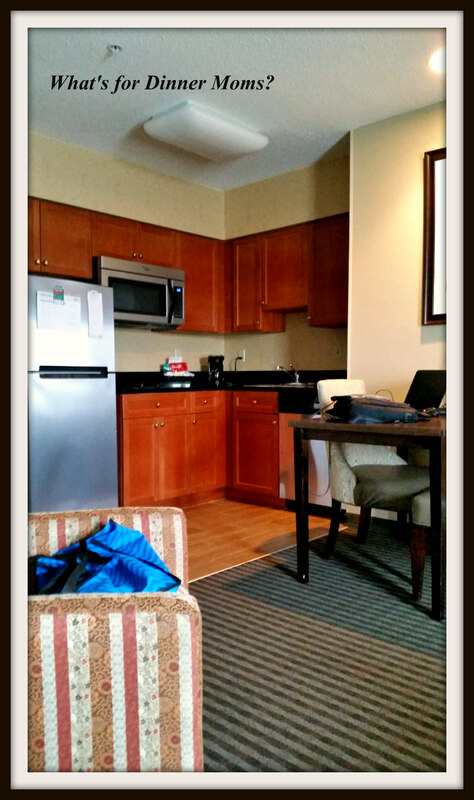 We plan on heading back to Grand Rapids again with the whole family and wouldn’t hesitate to stay at the Homewood Suites again. I don’t live too far from Grand Rapids, it’s a fantastic city to visit. On our last trip there, we went to D2, which is this amazing European style furniture store. so much beautiful stuff there! Crane’s, isn’t that the famous pie place near Fenn Valley winery? I’m sure you’ll have a great time for the rest of your trip! I love GR! Never tried Crane’s… it’s on the list! Thank you! We did! I would go back to the restaurant in a heartbeat for the sandwich.